Pluto could be a huge comet in his heart. 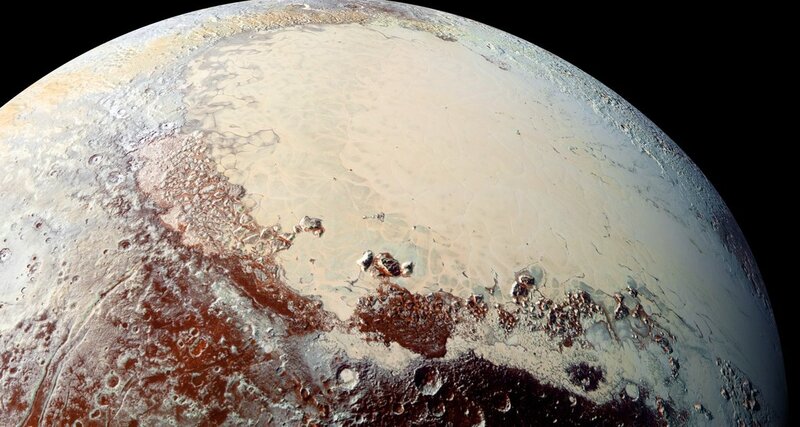 Researchers have developed a new theory about the origins of the dwarf planet after scrutinizing Sputnik Planitia, the giant nitrogen ice glacier that represents the left-hand side of Pluto's famous "heart." Glin and his SwRI colleague Hunter Waite developed the new Pluto Formation scenario after seeing data from Rosetta and NASA's New Horizons mission. which was flown by Pluto in July 2015. The scientists also made some conclusions about the evolution of the dwarf planet in their new study, which was published online on May 23, in the journal Icarus . "Our research suggests that Pluto's chemical composition derived from cometary building blocks was chemically modified by liquid water, perhaps even in an underground ocean," Glein said.